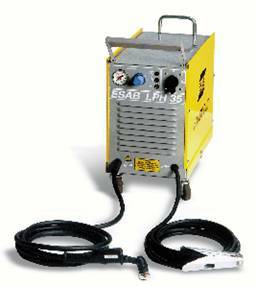 The LPH 35 is designed for cutting of plates up to 8 mm thick. On the front panel a cutting current of 20A or 35A can be selected, in order to match the power requirements to the cutting conditions. 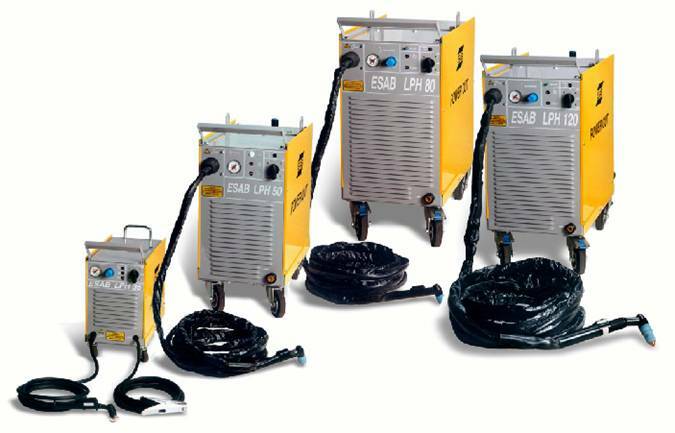 The LPH 35 is equipped with an air cooled torch, the PT 30KK, with 4.0 m hose package. 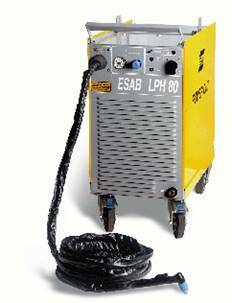 The LPH 80 is designed for cutting of plates up to 25 mm thick. On the front panel the cutting current can be set in three steps of 40A, 60A or 80A in order to match the power requirements to the cutting conditions. 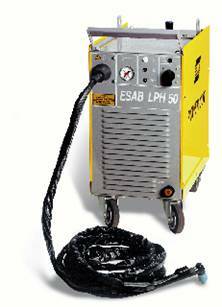 The LPH 80 is equipped with an air cooled torch, the PT 27, with 7.6 m hose package. The LPH 120 is designed for cutting of plates up to 35 mm thick. On the front panel the cutting current can be set in three steps of 60A, 90A or 120A in order to match the power requirements to the cutting conditions. 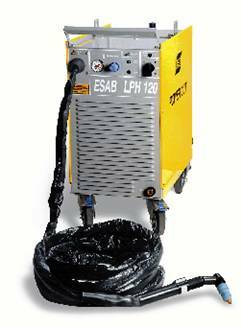 The LPH 120 is equipped with an air cooled torch, the PT 25, with 7.6 m hose package.